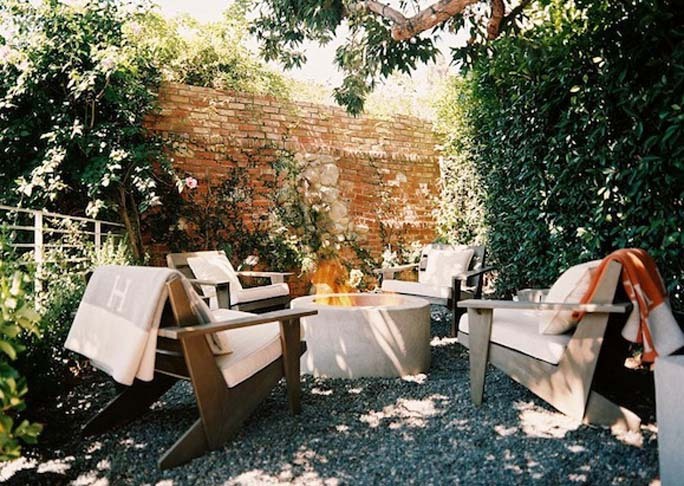 With the weather warming up, my attention has turned to our outdoor living spaces. After a few years in our house, I’ve decided that what the yard really needs is some sort of seating. All those summer afternoons outside, wouldn’t it be nice to have a seat to pull up in the shade from which to supervise the latest play date? Maybe even be able to read a magazine with a cold lemonade? 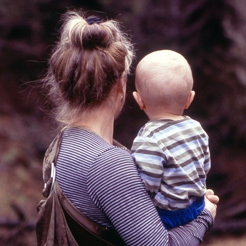 A mom can dream, can’t she? 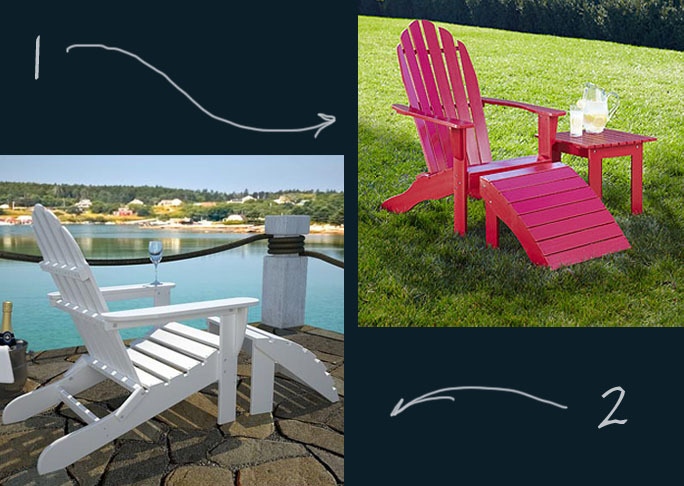 After considering benches, cafe chairs and the like, I’ve settled on Adirondack chairs. You know them, right? The straight slatted back, the contoured front edge for the comfort of your knees, the wide armrests and the slanted seat? This classic chair has been around for over a century and has seen modernization through materials, design and decoration. Of the many options available, I’ve got these versions on my short list. This classic wood option comes in a wide variety of colors and even a kid-sized version. The chair, which normally retails for $99, is currently on sale for $79. A matching ottoman is also offered for $39 regular, $29 sale. This chair and ottoman from Costco are made from recycled plastic milk containers for those looking for a more environmentally friendly option. The set is $299 and comes in black, white and green. This interpretation of the Adirondack chair comes in dark-walnut stained cedar. While the shape is a bit more angular than the original, it does retain the slanted seat and wood slatting elements. Added bonus? $50 of the $349 purchase price will be donated to a cause supported by the makers. This one’s a special one that I’m including for all you crafty folks out there. 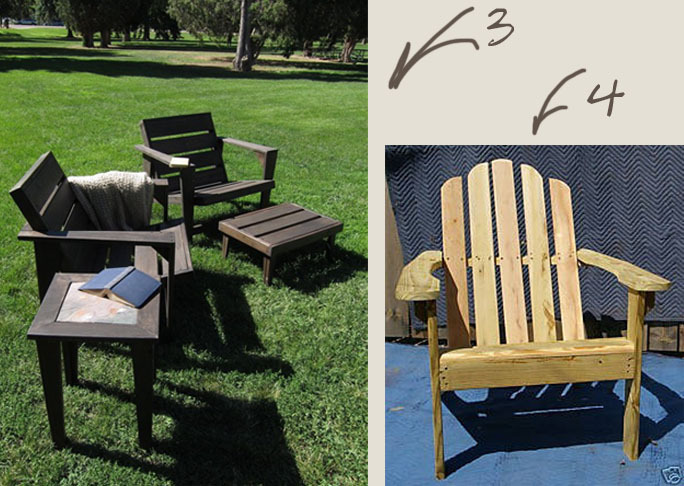 This $80 kit includes all the wood (cedar or oak), hardware and instructions required to make your own seating creation! The surface is unfinished but can easily be stained or painted after a light sanding. I’m really hoping to settle on something soon so I can get to enjoying my drinks in the shade. Which one would you choose?